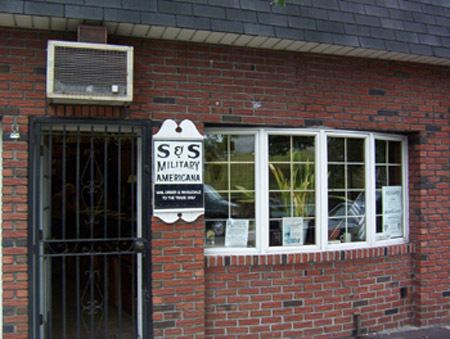 S & S Firearms was founded in 1957 by Edward P. Siess and his wife, Mary Ann, as an outlet to supply collectors, re-enactors and historians with mail order service for U.S. military items. As we are approaching our 58th year, you will now find 3 generations of family members to provide you with replacement parts, restoration items or information needed to fulfill your needs. Mary Ann, Ed’s wife, along with their son, Phil, Phil’s wife Adrienne and son Phil Jr. along with Mary Ann’s oldest son, Ed Jr. continue the tradition of honesty, integrity and personal attention which have been a benchmark at S&S since 1957. As a family operated business we have developed many long standing business relationships, of which many have grown into friendships. Mary Ann and Adrienne are usually answering the phones and offer a personal touch gladly assisting you with your order. While we are primarily a mail order business, we maintain a small showroom and attend the Baltimore Antique Arms Show and the spring and fall N-SSA nationals in Winchester, VA. Should you have the opportunity to attend any of these venues, please stop by and say hello. We always look forward to greeting our valued customers. Thank you for your continued patronage and support and we look forward to serving you in the future.